Management escalation, oh, no! 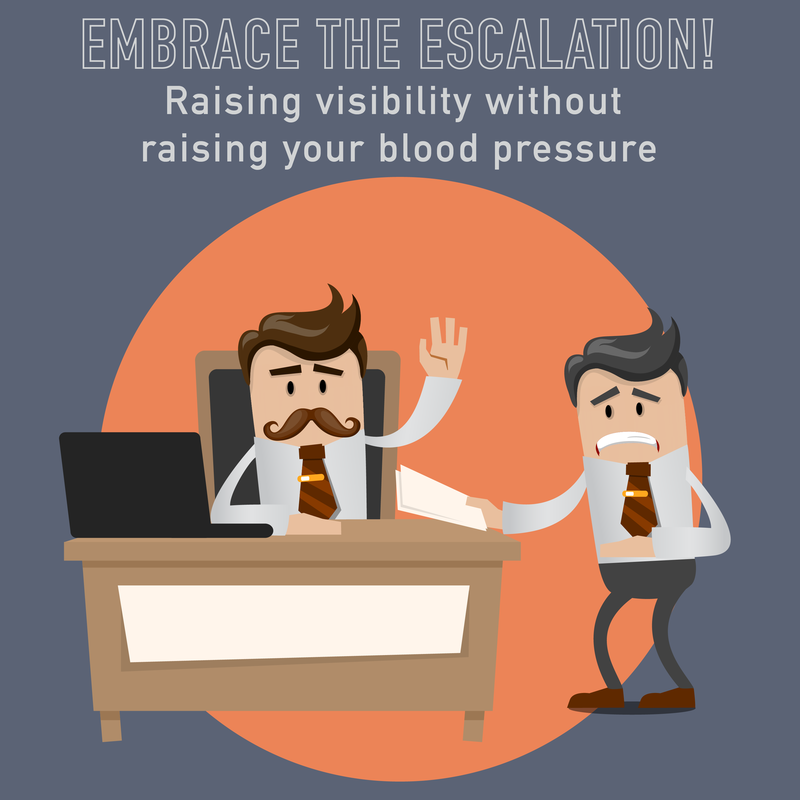 When issues get escalated to our managers and executive stakeholders, our hearts sink, a sweat breaks out and we start to freak out. But should we? Maybe we should “flip the script” and think of escalations as good and even necessary – when done correctly. PLUS, Kate gives Kim a brief Improv lesson! 030 - Crucial Conversations part 2: Oh, man it just got difficult! This topic contains 0 replies, has 1 voice, and was last updated by 8 months, 3 weeks ago.